Business​ ​owners​ ​are​ ​always​ ​on​ ​the​ ​lookout​ ​for​ ​potential​ ​new​ ​consumers.​ ​With​ ​over​ ​2.3​ ​billion active​ ​users,​ ​social​ ​media​ ​has​ ​become​ ​the​ ​best​ ​place​ ​to​ ​find​ ​these​ ​new​ ​customers.​ ​While​ ​every business​ ​has​ ​a​ ​Facebook​ ​page​ ​these​ ​days,​ ​there​ ​is​ ​a​ ​lot​ ​more​ ​to​ ​active​ ​social​ ​media engagement​ ​than​ ​merely​ ​setting​ ​up​ ​a​ ​profile.​ ​This​ ​is​ ​where​ ​a​ ​dedicated​ ​social​ ​media​ ​virtual assistant​ ​can​ ​come​ ​into​ ​play. A​ ​strong​ ​social​ ​media​ ​presence​ ​can​ ​directly​ ​increase​ ​your​ ​brand​ ​awareness.​ ​It’s​ ​simple:​ ​the more​ ​you​ ​engage,​ ​the​ ​more​ ​others​ ​notice.​ ​Put​ ​simply,​ ​the​ ​more​ ​followers​ ​your​ ​business​ ​has​ ​on social​ ​media,​ ​the​ ​more​ ​other​ ​people​ ​will​ ​begin​ ​to​ ​take​ ​notice,​ ​and​ ​once​ ​someone​ ​finds themselves​ ​on​ ​your​ ​page,​ ​the​ ​odds​ ​of​ ​them​ ​becoming​ ​a​ ​customer​ ​immediately​ ​improve. In​ ​addition,​ ​social​ ​media​ ​allows​ ​for​ ​immediate​ ​feedback​ ​and​ ​analytics​ ​about​ ​what​ ​is​ ​(and​ ​what​ ​is not )​ ​working​ ​for​ ​you.​ ​This​ ​allows​ ​you​ ​to​ ​tailor​ ​your​ ​content​ ​to​ ​reach​ ​more​ ​people.​ ​Social​ ​media can​ ​also​ ​be​ ​used​ ​for​ ​quick,​ ​effective​ ​customer​ ​service​ ​and​ ​to​ ​keep​ ​an​ ​eye​ ​on​ ​what​ ​competitors might​ ​be​ ​doing. This​ ​alone​ ​should​ ​have​ ​you​ ​rethinking​ ​your​ ​own​ ​social​ ​media​ ​strategies,​ ​but​ ​the​ ​truth​ ​is​ ​that most​ ​business​ ​owners​ ​are​ ​not​ ​adequately​ ​prepared​ ​to​ ​handle​ ​these​ ​strategies​ ​themselves. 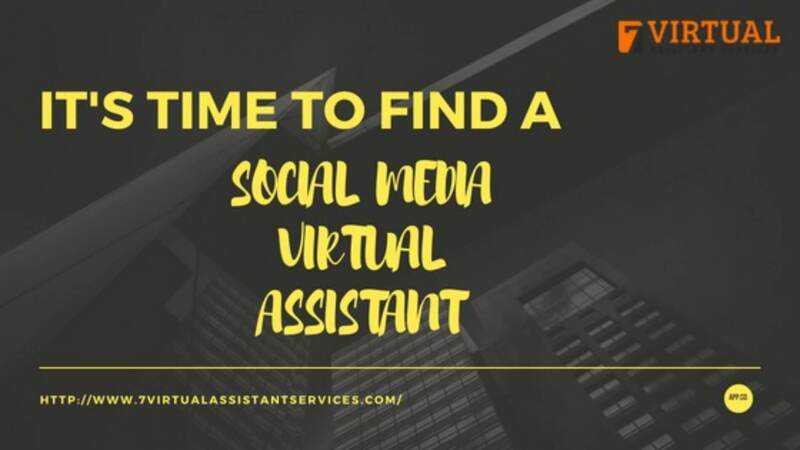 Why​ ​a​ ​Social​ ​Media​ ​Virtual​ ​Assistant? While​ ​you​ ​might​ ​be​ ​great​ ​at​ ​creating​ ​a​ ​product​ ​or​ ​crunching​ ​numbers,​ ​you’re​ ​most​ ​likely​ ​not naturally​ ​great​ ​at​ ​social​ ​marketing.​ ​A​ ​virtual​ ​social​ ​media​ ​assistant​ ​is​ ​someone​ ​who​ ​knows social​ ​media​ ​in​ ​and​ ​out​ ​and​ ​they​ ​can​ ​help​ ​take​ ​your​ ​business​ ​to​ ​the​ ​next​ ​level​ ​with​ ​effective social​ ​media​ ​use. 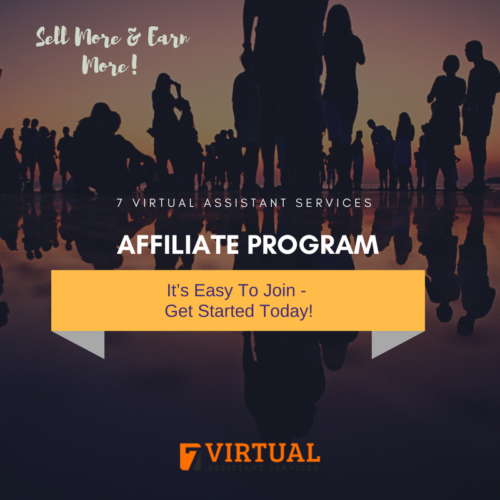 that​ ​will​ ​help​ ​increase​ ​your​ ​social​ ​media​ ​presence​ ​and​ ​can​ ​also​ ​be​ ​used​ ​elsewhere​ ​in​ ​your business. If​ ​you’re​ ​social​ ​media​ ​presence​ ​is​ ​lacking,​ ​in​ ​today’s​ ​world​ ​so​ ​is​ ​your​ ​business.​ ​A​ ​dedicated virtual​ ​social​ ​media​ ​assistant​ ​can​ ​help​ ​change​ ​that. 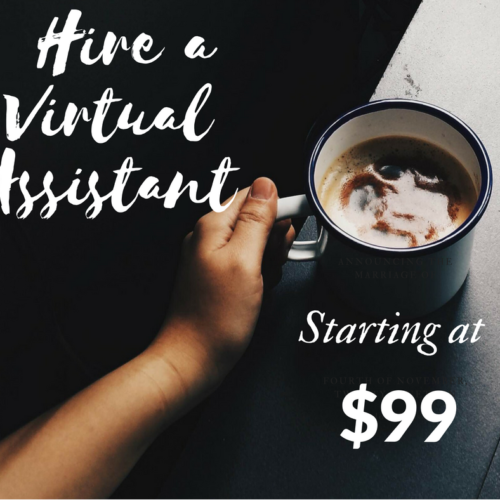 Previous How​ ​To​ ​Hire​ ​a​ ​Virtual​ ​Assistant?